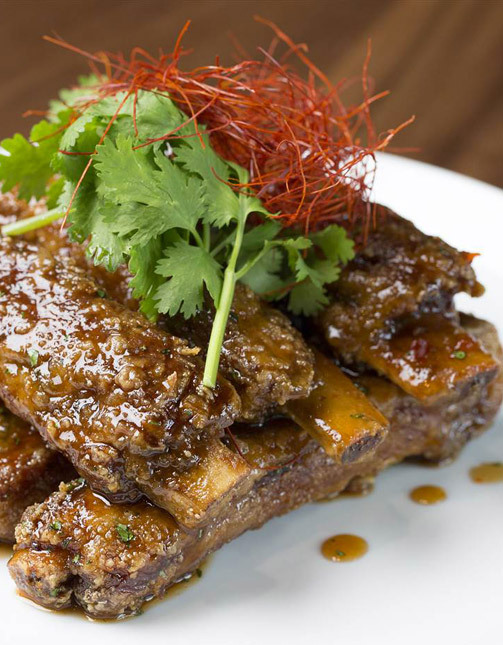 Morimoto Asia Waikiki, conceived by internationally acclaimed Iron Chef Masaharu Morimoto, serves as the signature restaurant of Alohilani Resort Waikiki Beach. The dinner-only culinary destination features Iron Chef Morimoto’s iconic cuisine that seamlessly integrates Western and traditional Asian ingredients with unmatched creativity and innovation. Located on the second floor of this new city resort, Morimoto Asia Waikiki brings an interactive culinary experience to Waikiki Beach, courtesy of a glass-encased exhibition kitchen that will offer a behind-the- scenes glimpse into culinary preparations and traditions, and outdoor lanais with stunning views and sunsets that have made Waikiki Beach a vacation destination for decades.